← On the lookout for Nessi! 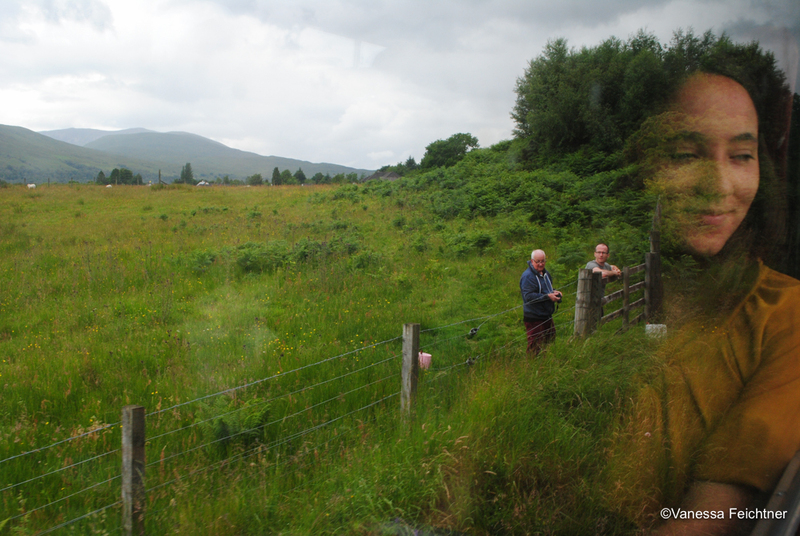 When I was looking around for things to do in Scotland, the Jacobite train showed up more than once with Harry Potter in its title. 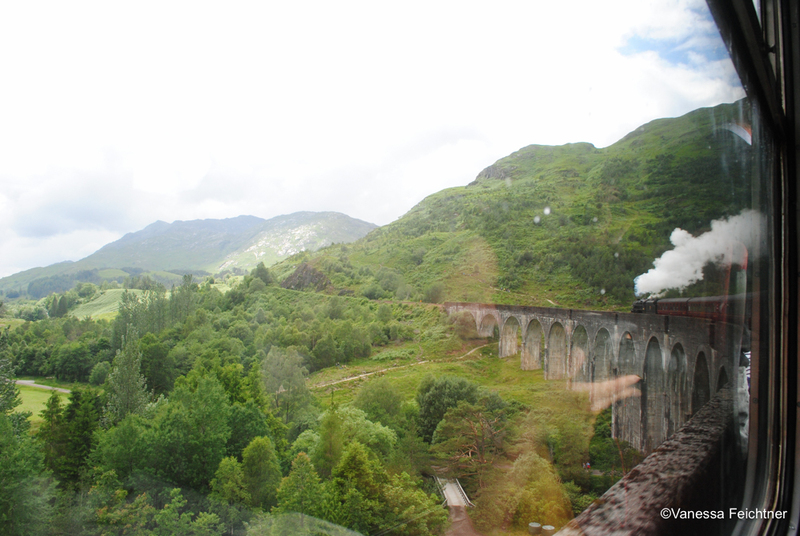 I couldn’t really ignore it, being the Harry Potter fan I am so eventually I clicked on it and found out the train took the route over the viaduct that is featured in the movies. So if you were wondering why you were looking at a train and viaduct in the picture above, look again and start Harry Potter number 2 to compare the two. Although the train certainly looks a little bit like the Hogwarts Express from the outside, there’s nothing familiar to see on the inside. 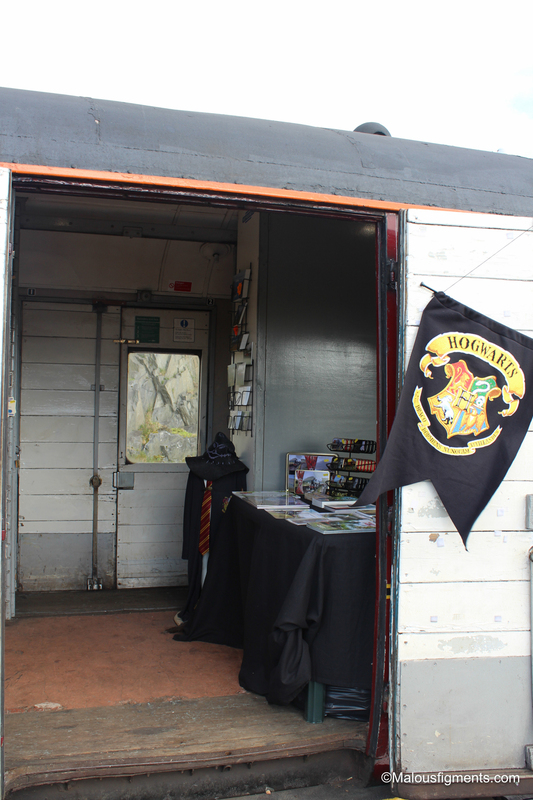 They are more than happy to play the Harry Potter card to attract visitors (and the train does go over the viaduct) but even without the Harry Potter thing the journey was pretty nice. 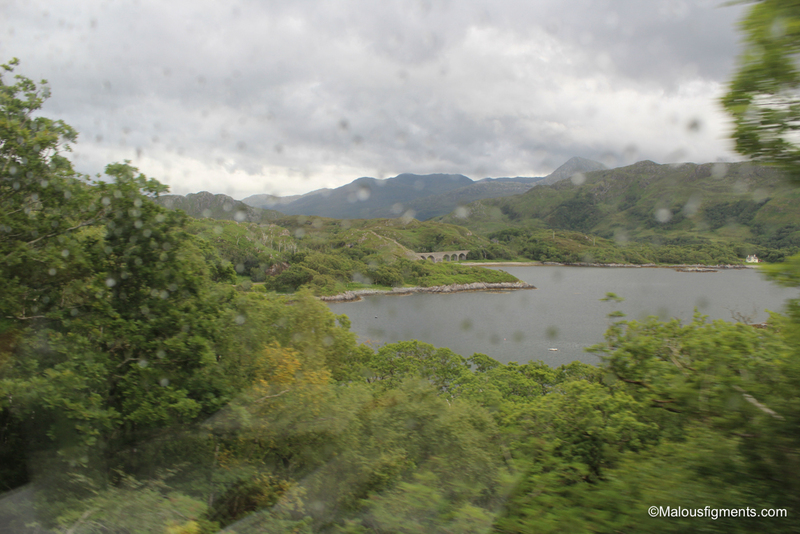 The train goes from Fort William to Mallaig, a small fishing port where you could potentially take a ferry to Skye. 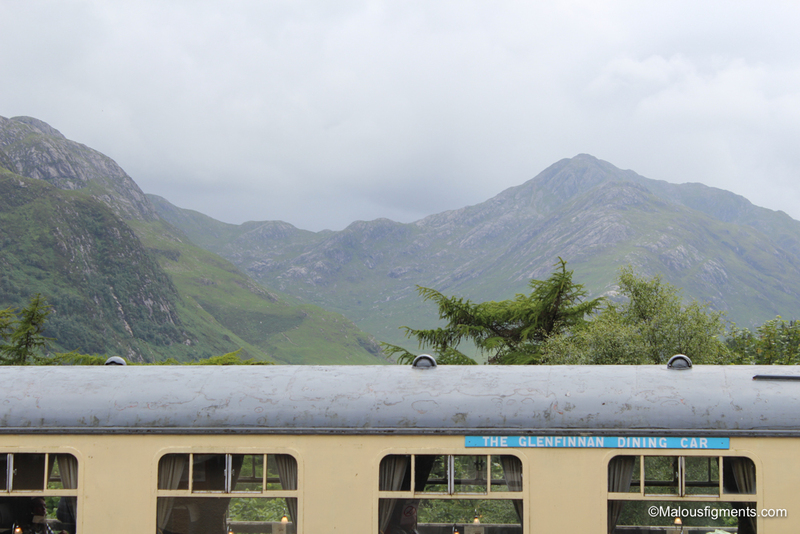 The train journey takes 2 hours one way and takes you past a couple of highlights out of which one is also the island where they filmed Dumbledore’s grave. It was rather difficult to take good pictures because of the moving train, the glass and raindrops although Vanessa used it to her advantage and made some interesting pictures with my reflection. 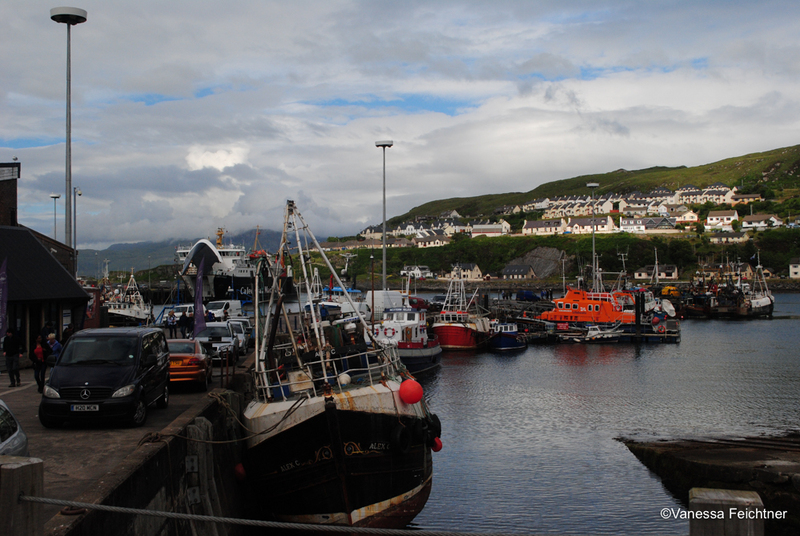 There wasn’t very much to see in Mallaig at all. 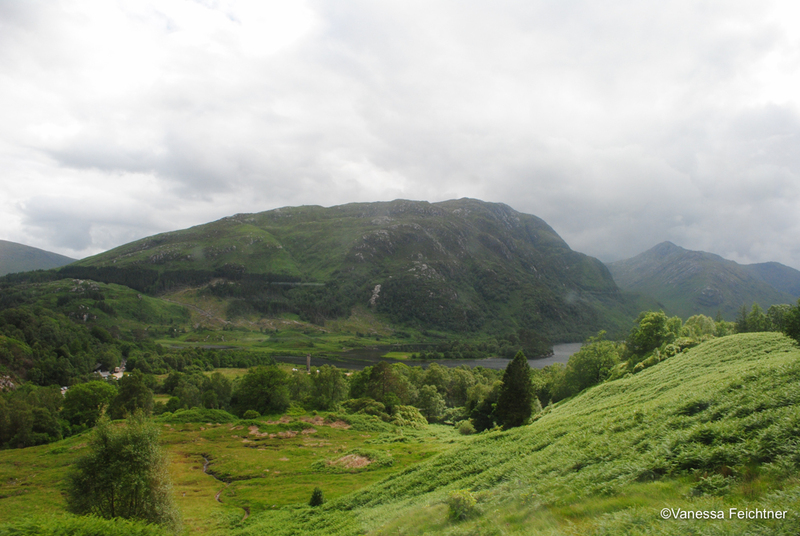 Nevertheless, it was nice to have a 1,5 hr stop before heading back to Fort William again where Iben and I spent out last night in Scotland.